German media holding Axel Springer AG has closed one of its blueprint weekly magazines in Russia, Russian Newsweek, "with respect to economic reasons," Axel Springer Russia said in a statement. Axel Springer had been publishing Russian Newsweek since 2004, but the group's publishing license ran out this fall and the publisher's management did not want to extend it, citing economic losses. "We are proud that Russky Newsweek has been prominent, award-winning and met the highest standards of journalistic work for six years... Unfortunately, we have failed to bring the magazine to a firm economic base and we could not create a prosperous perspective," the president Axel Springer International, Ralph Buechi, said in the statement. 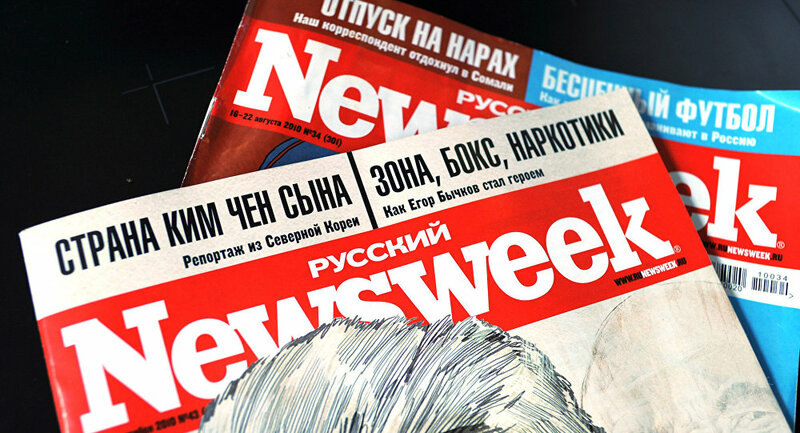 Earlier Russian Newsweek held talks with several media holdings and private investors over the purchase of the magazine. In particular, Russian tycoons Mikhail Prokhorov, Alisher Usmanov with his Kommersant publisher and Gazprom-media of Russia's Gazprom were in talks with Axel Springer, but the deal fell through. On October 18, the last issue of Russian Newsweek was released picturing the portrait of Sergey Sobyanin, nominated for mayor of Moscow. Media experts all around the world say that weekly magazines are living out their final days since people do not need the facts that they had already known in the beginning of the week. Internet provides immediate access to "burning" information and makes the content of weekly magazines useless, even despite its high quality and profound analysis. Among the possible reasons of Newsweek's death in Russia, some experts note political risks. Following the Anglo-Saxon journalism, Russian Newsweek often published comprehensive, sometimes Kremlin-criticizing articles. Axel Springer remains the publisher of Forbes, OK, ComputerBild, GEO, GALA Biography, GEO Traveller as well as GEOLENOK magazines in Russia.